We stock over 250 kinds of loose leaf tea (probably close to 300) With so much choice it can be a little overwhelming sometimes. That’s why we’ve compiled this handy guide to our newest Winter and Christmas tea selection. All of our amazing festive flavours in one place so you can be sure you’re not missing out on anything. As these teas are seasonal blends we have them in more limited quantities than usual, so don’t wait around and stock up on your faves today. An organic and irresistible blend for any lover of gingerbread. 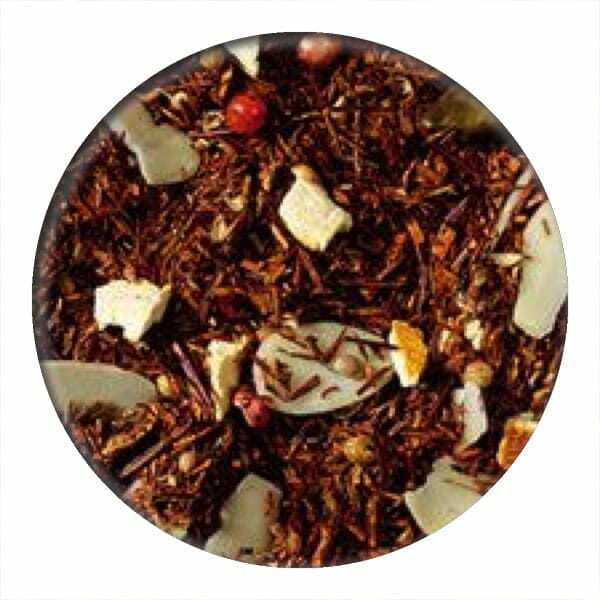 Rooibos tea with a generous amount of nutmeg and sweet spicy cinnamon. 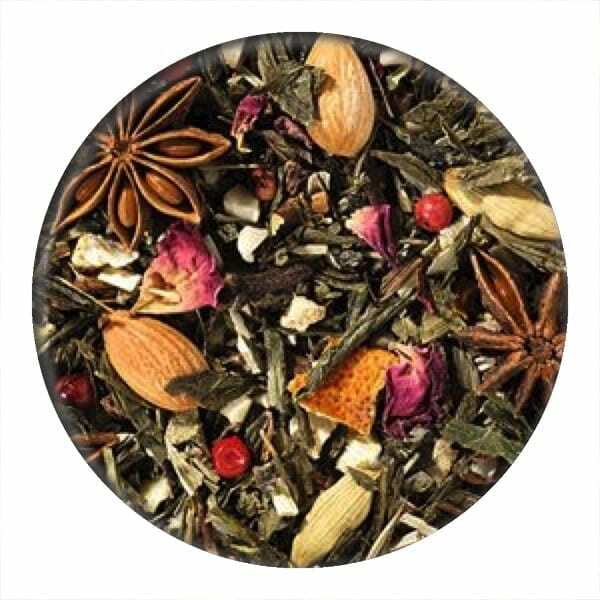 A helping of oriental cardamom, some cloves, sweet honey and a sprinkling of peppercorns create this comfort in a cup blend. 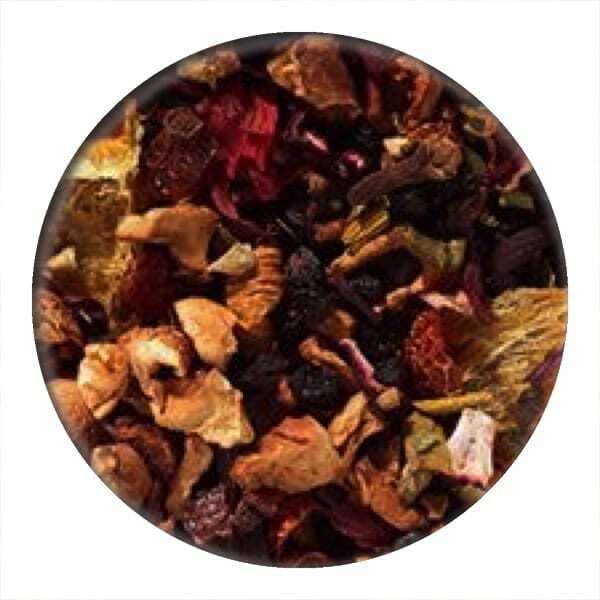 A completely new seasonal black tea with cranberries, strawberries, orange peel, cardamom pods and almond slices to awaken the tastebuds in a fruity and festive way. A festive fruit fest! 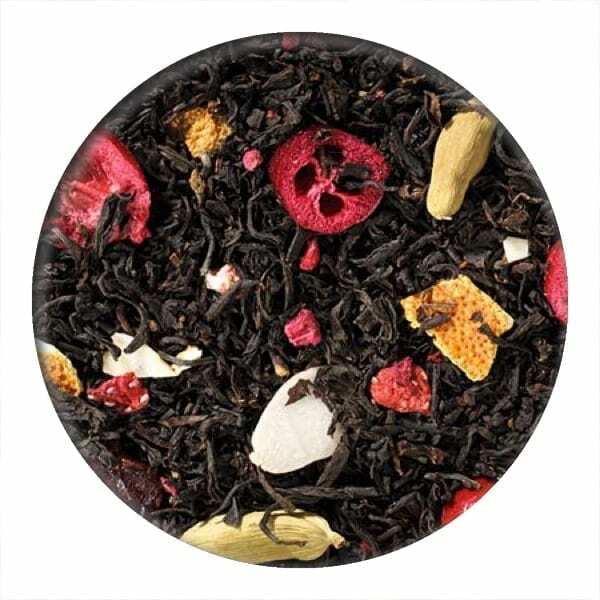 Fruit, almonds and coconut mingle with each other to create a tea which is pretty to look at, brews to a deep red colour and is full of flavour. 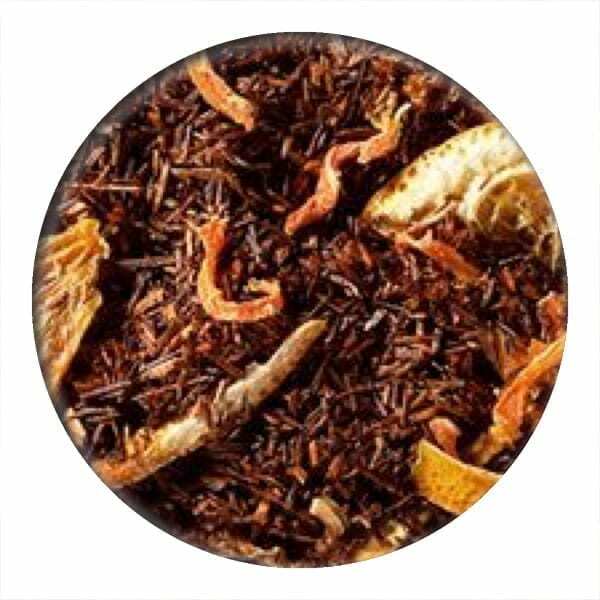 3 simple ingredients, rooibos tea , vibrant carrot shreds and orange pieces. We think this tea would be a favourite amongst Santa’s reindeer. 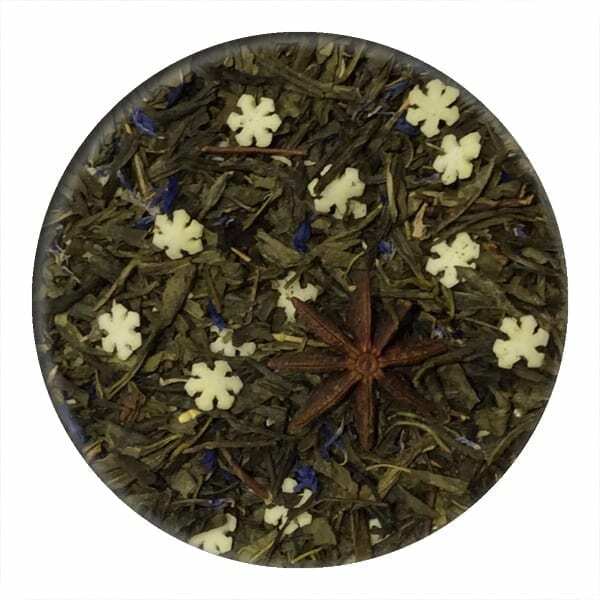 This festive Green tea is marvellous in both its appearance and flavour! Delicate green tea is a perfect base for sweet sugar snowflakes, while star anise and coconut provide perfume and a creamy indulgent notes. 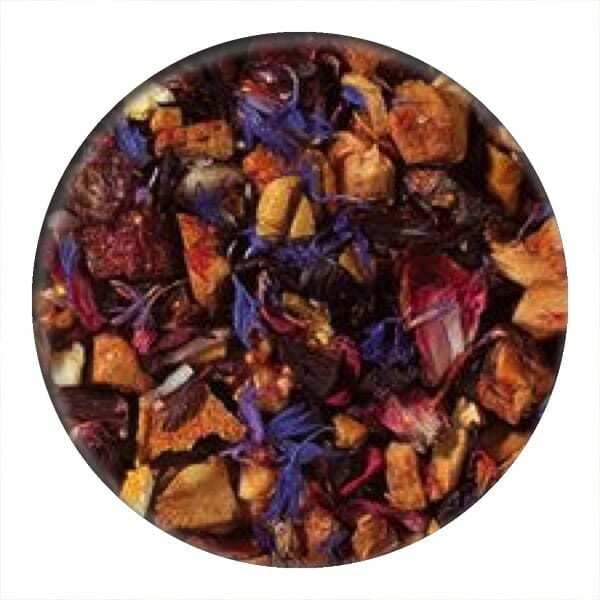 And last but not least blue cornflower petals add a regal and beautiful flourish to this blend. A tried and tested favourite returns! 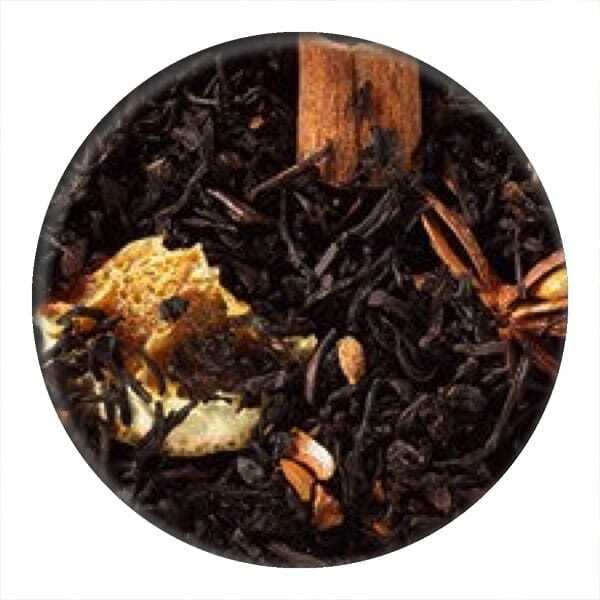 A tea which truly combines traditional Christmas flavours and smells… Black tea provides a hearty base for chocolate chips, orange slices, cinnamon roads and star anise. This tea really gives one a gentle warm feeling while drinking. 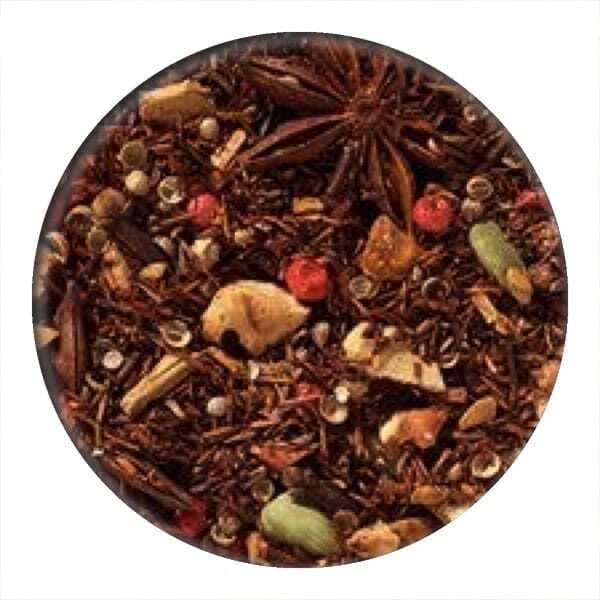 Rooibos, cinnamon rods, hazelnuts, almonds orange and peppercorns make this a beautifully spiced and caffeine free beverage perfect for warming the hands and heart! 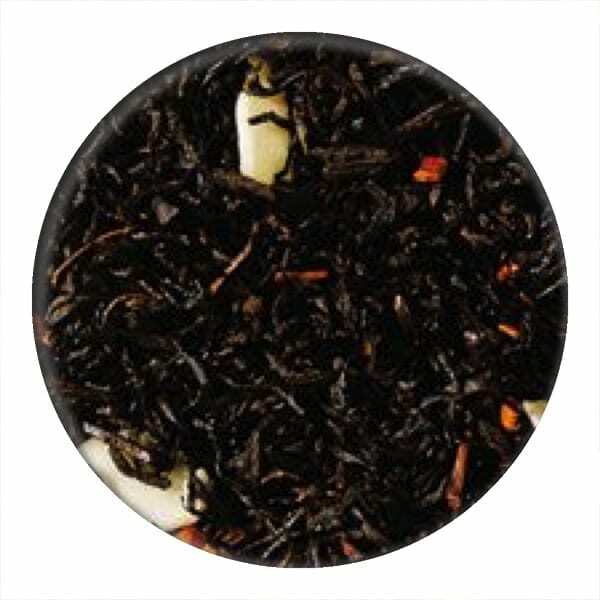 And another favourite returning this year, a fruity spiced infusion that is so full of flavour. A nice alcohol free twist on the traditional mulled wine recipe that everybody know and loves. Brew up a pot and share with your friends to really spread some cheer. 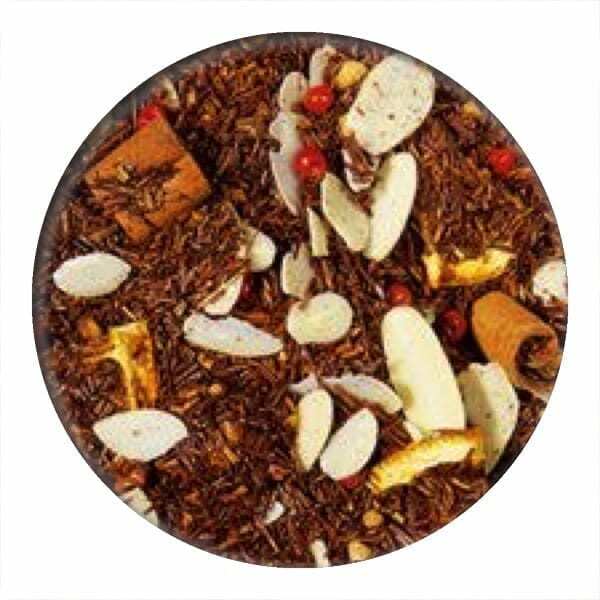 Our regular customers may already be familiar with this Christmas Classic Black tea, vanilla, cinnamon and apples, and almonds. 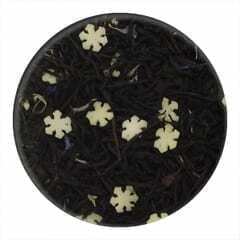 This one is a real comfort in a cup blend that really embodies the spirit of this time of year! Another twist of the beloved gingerbread variety, this time with green tea. A delicate Sencha tea is decorated with ginger, winter spices, orange peel, almond pieces and whole apricot kernels. The tempting scent of freshly baked gingerbread invokes merry feelings in a tea which is light enough to be enjoyed all day long. 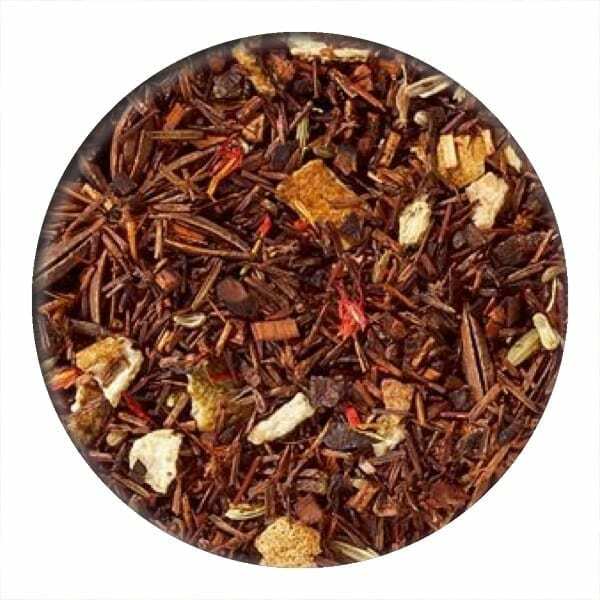 A lavish rooibos tea named so because the pink peppercorns in it look bright and cheerful just like Rudolf the reindeers nose. As well as rooibos tea, sweet oranges, ginger, coriander and plenty of almonds and pistachios create an infusion which spoils all the senses. Delicious notes of orange and apple, smokey rooibos and wintery spices culminate to create a blend which bedazzles as soon as you open the bag. The wintery scent captivates all of the senses. A green tea with a Christmassy twist. And no it isn’t pine needles like the name suggests. With plenty of orange, safflower petal, pink peppercorns and almonds this is refreshing and uplifting like a walk through a winter wonderland. 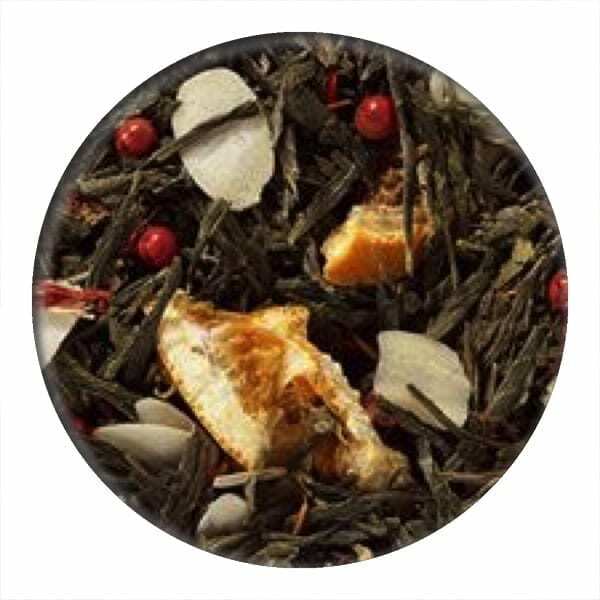 A Black tea with very similar ingredients to the Snow Queen green tea, with a deep malty Black tea base and creamy coconut flakes, the orange flavour really shines through! Many of the Christmas and winter blends have nuts in, so please be sure to check the ingredients on the website or ask us before ordering if you or the person you are buying for has a nut allergy.